Raised in the Pacific Northwest, the young Fox began playing piano at the age of five. A lifetime of playing music and sitting at the piano has allowed it to become second nature to him. He played piano and violin throughout his scholastic years which lead to learning guitar and bass. Soon after he began to write his own music. By the the time Gregg graduated High School he had performed for thousands of listeners and received numerous awards. 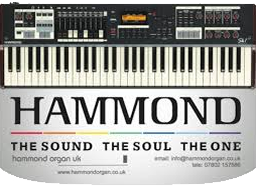 His early influences included The Beatles, Elton John and Led Zeppelin but it was when he first heard the music of Yes, Emerson, Lake and Palmer and Deep Purple that his passion for keyboards launched him on a musical journey in the tradition of the great rock and progressive rock keyboardists Rick Wakeman, Keith Emerson and Jon Lord. That journey continues to this day. In his early career Fox polished his skills and performance abilities in the Pacific Northwest among many of the musical elite of Seattle. As a driving force of such successful club and touring acts as Ictus, Metro and Radio City, during the 80’s and 90’s he played every venue and recorded tracks in every studio in Seattle while working in multiple original and touring projects simultaneously. This led to his being asked to join Rock and Roll Hall of Fame members from Heart, guitarist Roger Fisher and drummer Michael DeRosier, in the noted original Seattle band “10 Bulls”. 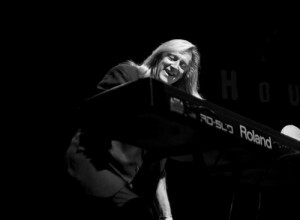 He then joined with Queensryches fem-fatale Pamela Moore to form “Sister Mary”, produced and occasionally joined on stage by Hearts’ own guitarist Howard Leese. 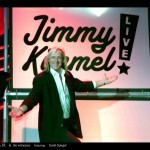 Throughout Fox’s professional career he has performed for hundreds of thousands of fans in major venues across the country and has has recorded and performed with many well known artists from acts such as Heart, Asia, Bad Company, Jefferson Starship, Billy Idol, Slash, Blues Traveler, Queensryche, Quiet Riot, The Cult, Alice Cooper, Toto, Yes, Pantera, ACDC, Michael Schenker Group, AGT Winner Michael Grimm, Iron Maiden, Vanilla Fudge, Ozzy Osbourne and BB King. Fox has performed at the Academy Of Country Music Awards live for 36 million people watching on CBS, toured the country extensively with Louis Prima Jr. and The Witnesses including numerous TV spots on WGN TV & FOX 5 TV , performed Jazzfest in New Orleans and the Hollywood Walk Of Fame star presentation for Louis Prima, recorded and performed with original rock groups “Beggars & Thieves” , “King Kobra” and “Vargas, Bogert & Appice” with Quiet Riot vocalist Paul Shortino and legendary drummer Carmine Appice, played for AGT winner Michael Grimm at his Grand Opening at The Flamingo, performed at the massive Bottlerock Festival in Napa Valley and has been seen coast to coast twice on Access Hollywood “Live” TV. 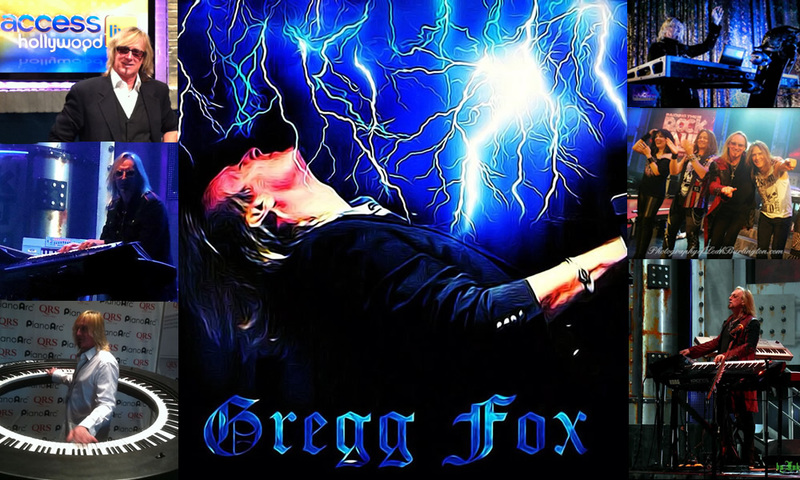 Gregg was recently honored with an invitation to perform at NAMM 2013 for the “Living Legends” concert series where he performed with Alan White ( Yes), Robin McAuley (McAuley Schenker Group- Survivor), John Payne (Asia), Frankie Banali ( Quiet Riot), Richie Castillano & Jules Radino ( Blue Oyster Cult) and Nicko McBrain (Iron Maiden). Fox also plays keyboards regularly in Las Vegas for Led Zeppelin All-Star band “The Moby Dicks” where he shares the stage with talented artists like Bonham/Lynchmob vocalist Chas West and a plethora of luminary musicians including monster drummers Brian Tichy ( Whitesnake/Foreigner), Frankie Banali ( Quiet Riot) and Vinnie Appice. Gregg has just launched a new epic project, ” The Renaissance Rock Orchestra.” RRO is a powerful classical prog rock ensemble centered around his keyboard prowess and progressive writing skills. In this orchestra, Foxs’ powerful keyboards are surrounded by strings and supported by heavy rock guitars and drums. 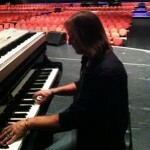 Currently as the keyboardist for “Louis Prima Jr. and The Witnesses”, “The Renaissance Rock Orchestra” and “The Moby Dicks” keyboardist Gregg Fox continues to amaze audiences with his wild energetic stage presence and his exciting blend of classical keyboard skills combined with many years of powerful rock experience.